Butchers Broom plant, Ruscus aculeatus, is also known as Box Holly. Attractive dark green glossy leaf-like stems. This plant has a traditional use in European folk remedy for gall stones. Modern folk in Europe and America as an internal and external remedy for hemorrhoids and varicose veins. Approved by German Commission E as an internal remedy for hemorrhoids. Butchers Broom plant is native to North Africa and is adaptable to most soils and positions. Drought and frost tolerant. 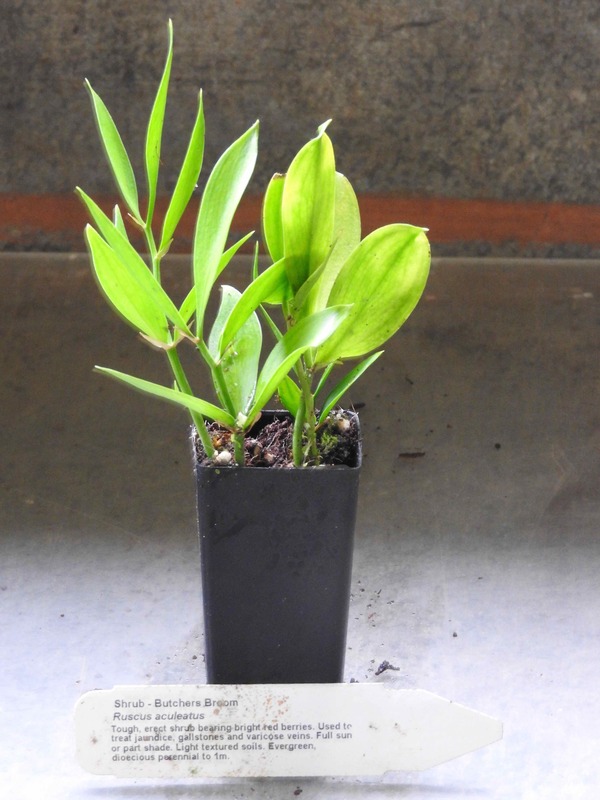 Rhizome based perennial evergreen plant, growing to 1m x 1m. Be the first to review “Butchers Broom, plant” Click here to cancel reply.